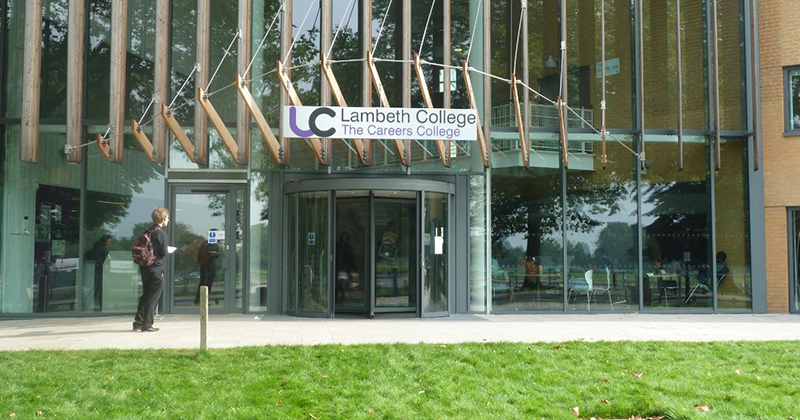 Lambeth College, which was served with a notice of concern for financial control by the Education and Skills Funding Agency yesterday, is expecting to receive a massive cash injection from the government’s restructuring facility by the end of the month, according to its own accounts. It is also in the market for a new merger partner following delays to a planned partnership with London South Bank University. “Because of its weak financial position the college can only continue to trade with the assistance of exceptional financial support from the ESFA,” the accounts state. This would be enough to cover what the college owes to the ESFA, and around £18 million in bank loans it has taken out. Ongoing delays to merger plans were blamed for having a “negative effect on the financial recovery strategy” – but if the merger was “not completed by January 2018 then the restructuring facility would provide resources until at least July 2019”. The merger had been set to complete by July last year, the accounts said, but “following interventions from stakeholders” it was delayed “with submissions of further financial and strategic plans to the ESFA and the minister of state”. FE Week understands the government deemed the financial support package demanded by the university as part of the merger deal to be too high, forcing it to seek an alternative partner. Several colleges are interested, and once SPA has concluded – now expected to be in March – the government will compare the options to determine whether the university offer remains the best, despite the high demands. Monica Box, Lambeth’s interim principal, insisted it was “taking action to address the notice of concern and is confident that the items identified for improvement are being thoroughly followed up”. But she said there was “no progress to report” when asked about the college’s university merger plans. The sum requested by Lambeth is even bigger than the £21 million dished out to Telford College of Arts and Technology as part of its recent merger deal with New College Telford. A DfE spokesperson insisted at the time that the facility was “not being used to prop up failing colleges”. “The restructuring facility is designed to help colleges make major changes following an area review recommendation that they cannot fund themselves and that will result in high-quality provision for the local community,” she said. The previous FE commissioner, Sir David Collins, visited grade three-rated Lambeth in September 2016 following a “significant deterioration” in its finances. His report concluded that the college’s finances “are no longer sustainable” and recommended that it should “urgently seek a merger partner with a view to enabling the work of the college to continue beyond August 2017”. Lambeth emerged from the central London area review, which ended two months after Sir David’s visit, with a recommendation to pursue one of three options – a merger with LSBU or with Lewisham Southwark College, or to join the new grouping of City of Westminster College and the College of North West London.